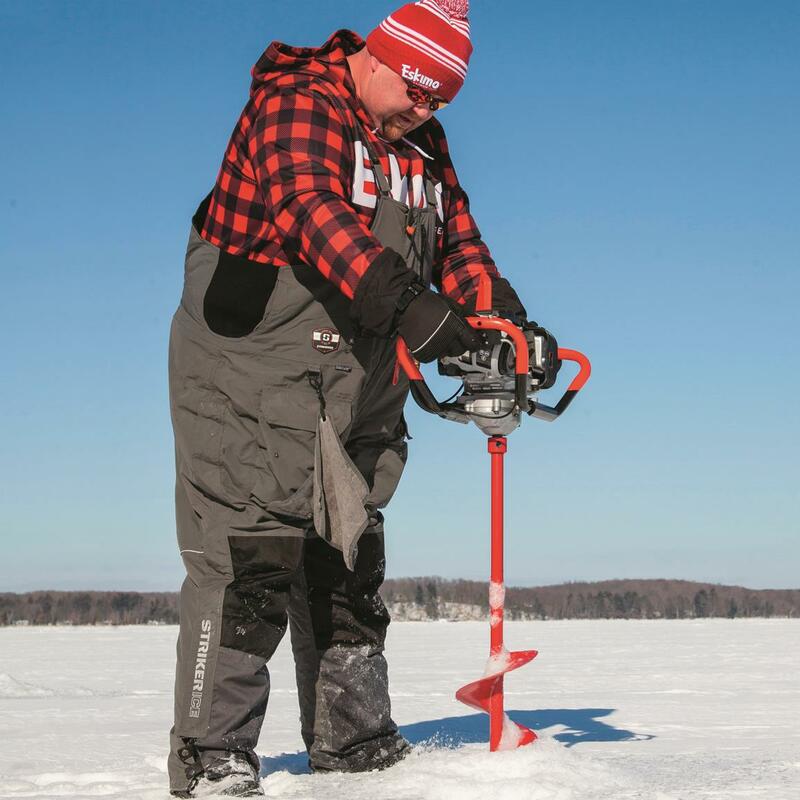 When tough ice meets the Eskimo P1 RocketTM Propane Ice Auger, the result is a faster start to your ice fishing pursuits. 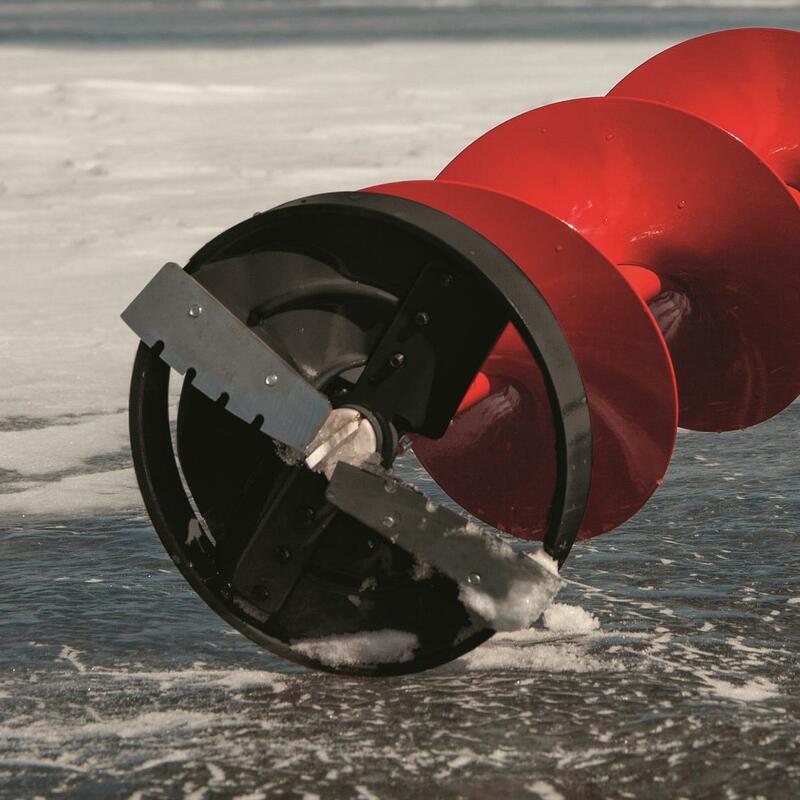 The P1 Rocket Auger features a Cast Aluminum Bottom fitted with dual blades and a centering point for clean cuts through dirty ice. 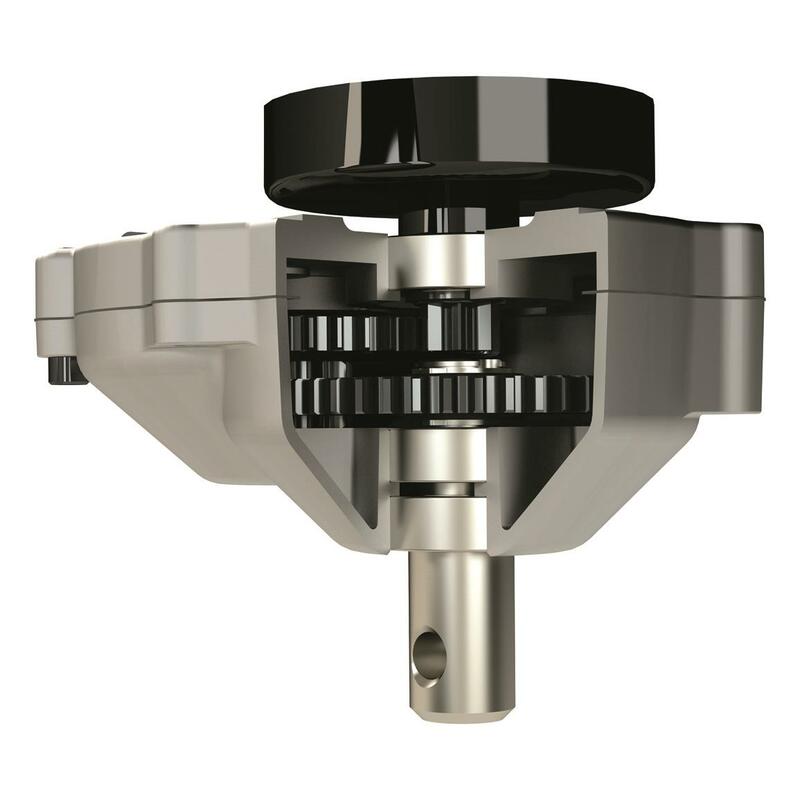 A redesigned powerhead has aluminum handles to shield the engine and a streamlined transmission for increased speed when drilling. An ample mitten-grip recoil lets you keep your hand covered while you start the engine and a finger tip throttle trigger allows precise speed control. The foam-covered aluminum handle bars absorbs vibrations so you can drill numerous holes and still be ready to hold your own spinning combo without fatigue. Cuts cleaner though the ice and the air. The workhorse behind the P1 is a high-compression 40cc 4-cycle engine that runs on clean, easy-to-use propane. Snap a 1-lb. cylinder in the quick release holder, flip the ON switch and pull the mitten grip recoil to start. This low-maintenance, clean burning engine produces minimal emissions so you can cut holes inside your fish house and not have to breathe the fumes for the rest of the day. 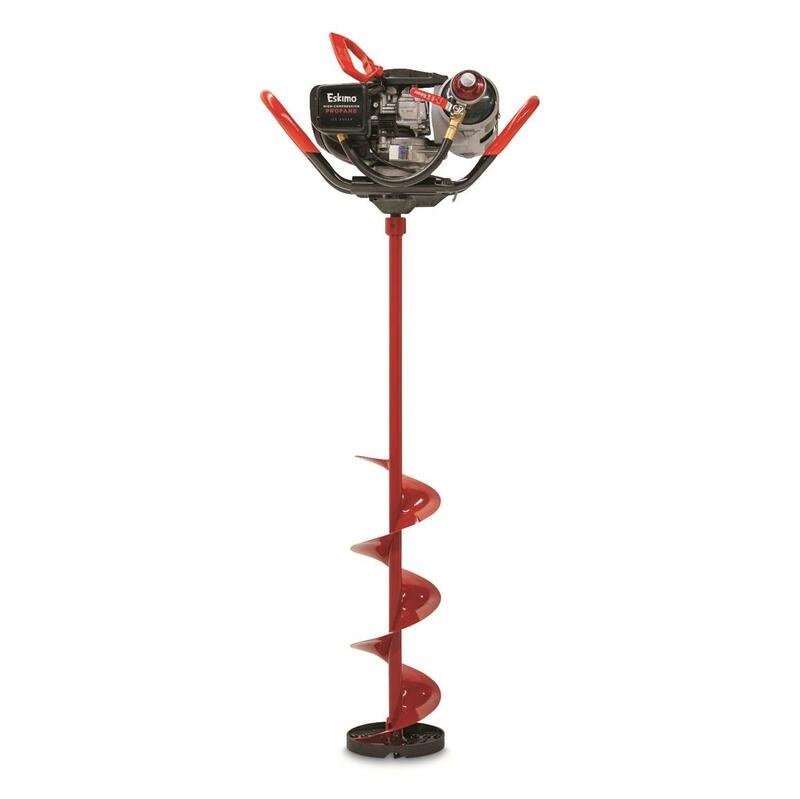 Eskimo P1 Rocket Propane Ice Auger is rated 4.7 out of 5 by 163. 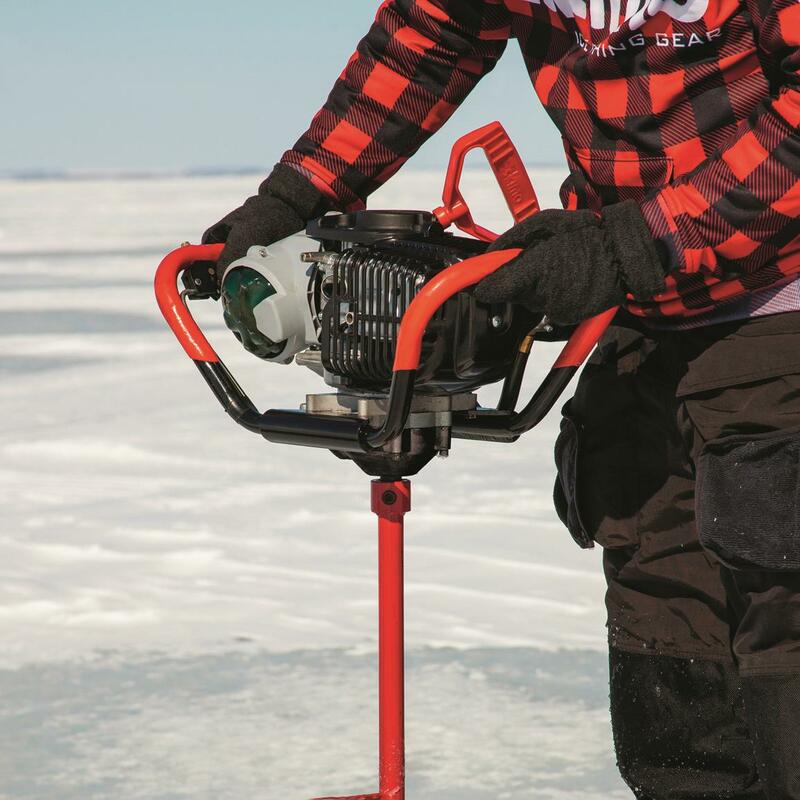 Rated 5 out of 5 by Kevin1234 from Eskimo This ice auger cuts the ice very fast second pull start. Works awesome !!!! 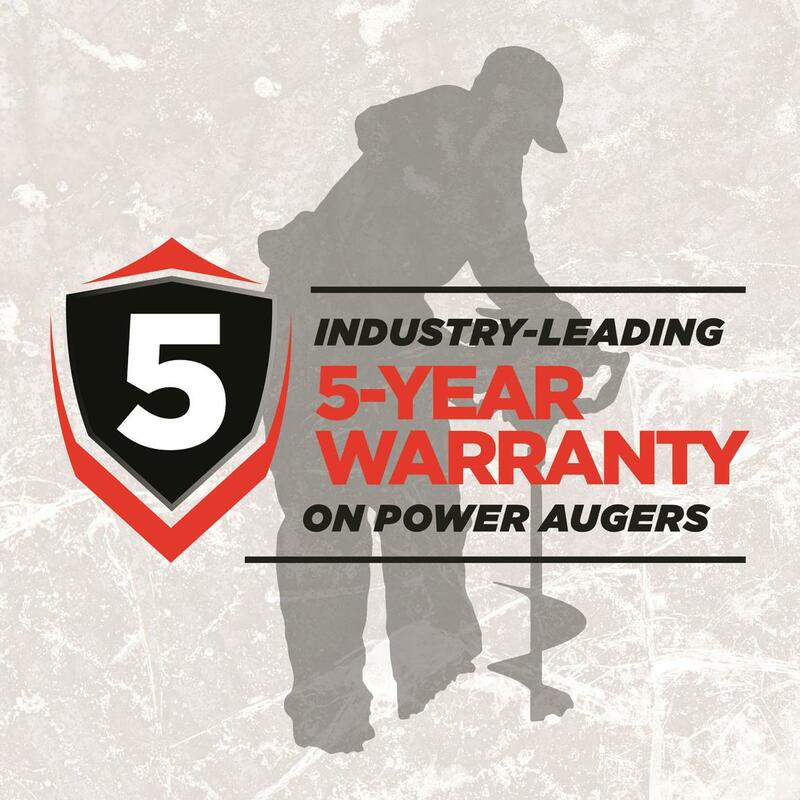 Rated 5 out of 5 by Andy1651 from Excellent product I have a 25 year old 10" gas auger, upgraded to the P1 Rocket. Starts the same -1 to -30 C quiet, cuts fast,over 10 lbs lighter. We had 33" of ice for over 2 months, did not even make this auger work hard. No gas to deal with no plugged carbs just quite fast hole cutting with no smoke or hassles.Should have done this a long time ago Eskimo knocked this one way out of the park. Rated 5 out of 5 by James_in_Co from Great quality out of the box! I purchased this late in the season after my Jiffy Propane auger decided to shred all the plastic parts after only a handful of uses. 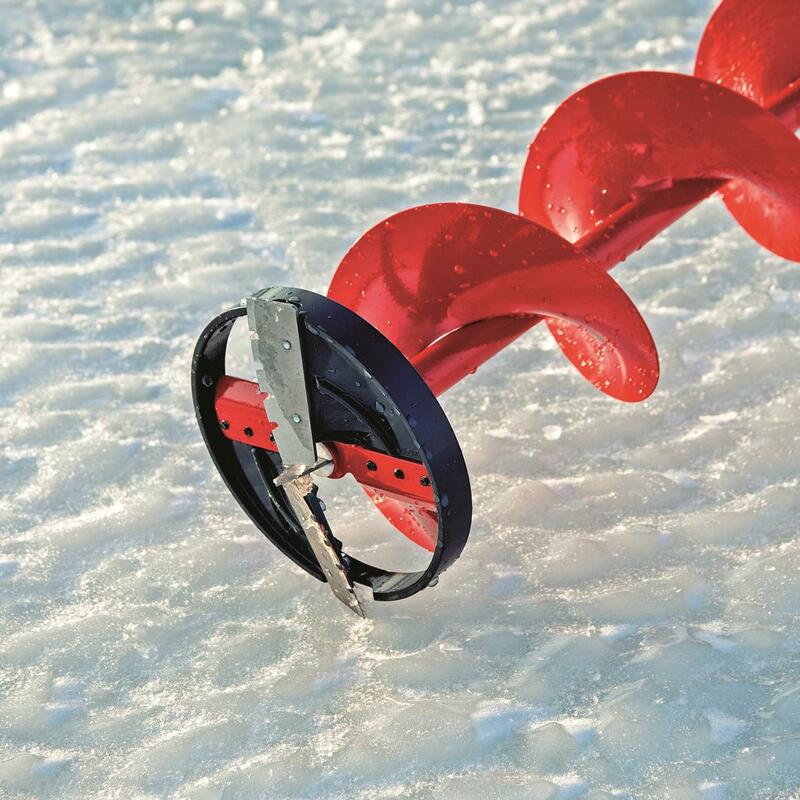 The Eskimo Propane auger was immediately tested on 30" of ice for several days. There were no leaks, started after only 2 pulls, and cut through thick ice like it was butter. I'm extremely satisfied with this purchase. Take care of your tools and they'll make your fishing trips that much better! Rated 5 out of 5 by George S. from Nice and clean, no smells. We bought this auger for the last month of fishing season. This year the ice was 36" thick. Measured 36" not estimated. The auger handled it with no problem at all. It starts easily and there is no need to use smelly mixed gasoline or gasoline at all. 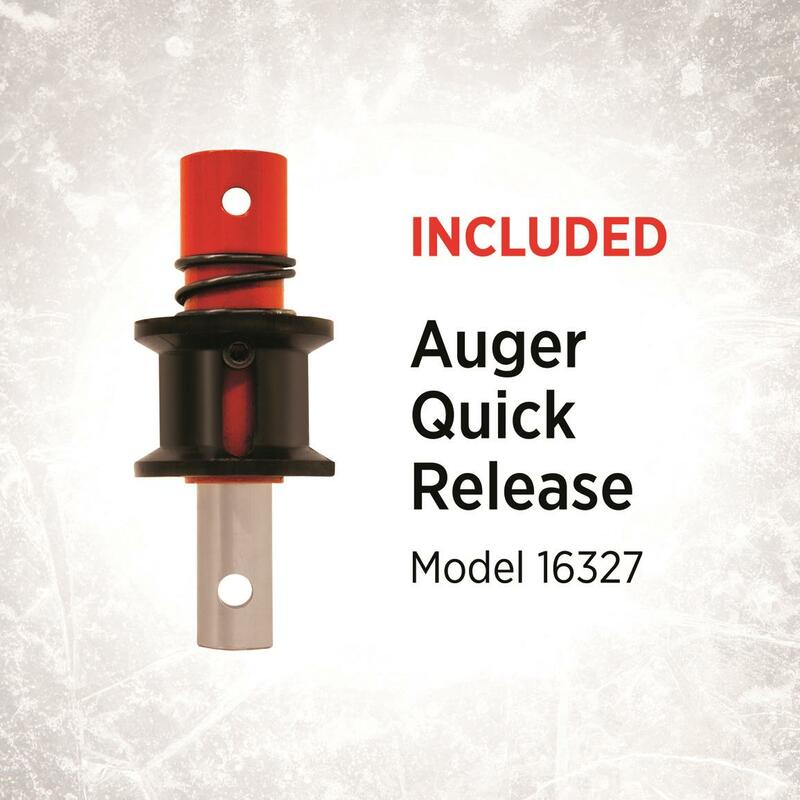 The quick detach auger fitting is really good and makes packing and unpacking a breeze. It stores away easily. Rated 5 out of 5 by Outdoorsman19 from So far so good Only got to use this about 5 times but it started 2nd pull every time even in cold weather (-30) and rips through the ice. Quick release works great to shorten for storage in the sled and box of the truck. Hopefully holds up but great so far. 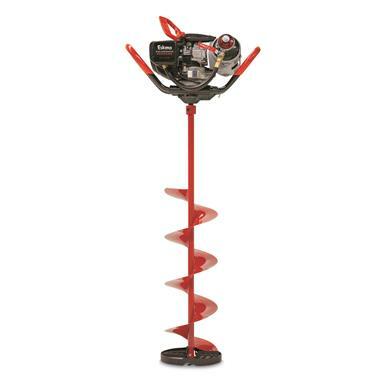 Rated 5 out of 5 by Whiplash from Eskimo P1 Rocket 10” Auger Bought Feb/March 2019 after using a buddies propane auger and seeing how easy it was compared to my older model gas 10” auger. I was also tired of fighting with carb issues every yr on old auger(different brand). I have 3 trips and about 25-30 holes on it so far before the ice left our area. It’s now stored until next ice season. The ease of starting and using is what is awesome about this auger. First start took bout 15 pulls, which directions do say may take longer on first start, but since first start it starts second pull every time. Cuts fast and does not bog down before breaking through ice. The only “on/off” lever/switch is the quarter turner handle in the gas line leading to engine. Very pleased with purchase so far, curious to see if I get the same results after storing for season. I am expecting no problems. Rated 5 out of 5 by Hungy from Cuts like a hot knife they butter Bought it to replace my stingray pile of junk gas auger. Propane is the way to go! 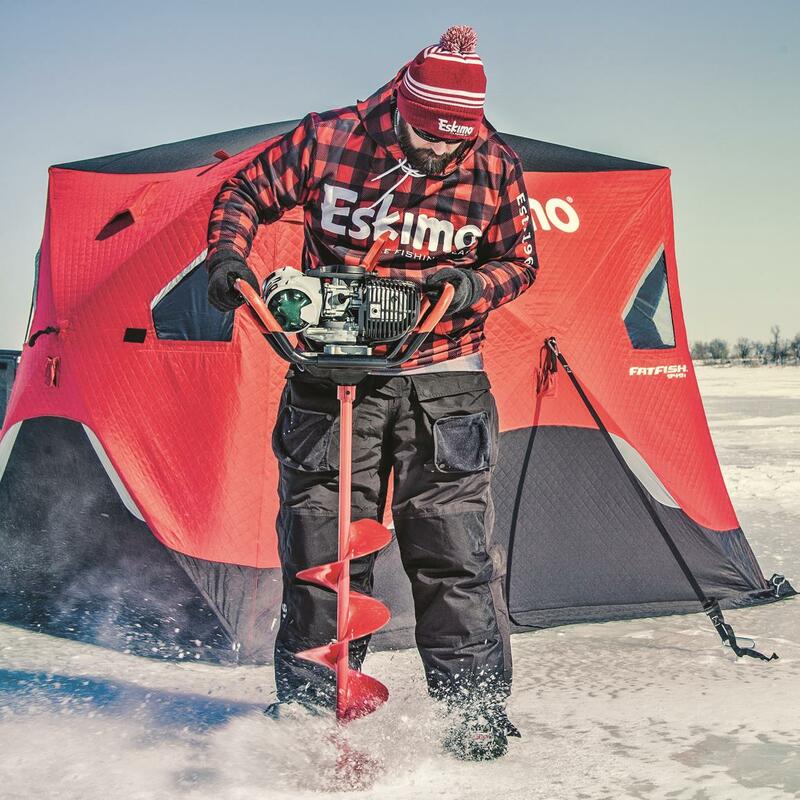 Works great for ice fishing, too! Big, rugged design for easy, one-trip hauling.